Here you will find many of our recently sold listings. The ever changing market continues to be difficult to track and predict. Though we do not claim to hold any secret tools, we do spend time to research and qualify our data. Our conviction of supplying support when needed and clearing the right path to follow will help you proceed with confidence. Breakwater Real Estate takes great pride in our commitment to service and dedication to our clients. Contact us for inquiries and additional data. Do You Believe in Magic? The Ferry House has it in abundance. 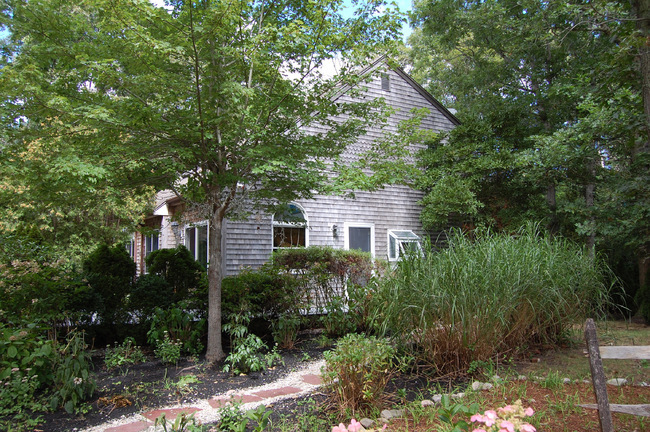 With the Vineyard Haven harbor in the distance this enchanting historic property is tucked away right under your nose. This lovely 5 bedroom home has its own Secret Garden and will delight lover's of authentic Vineyard style. A short 5 minute walk to the shops and restaurants of Vineyard Haven and to the ferry boat and harbor. Do you even need a car? Built at the turn of the century in a pastoral setting off of Lambert's Cove Road, the home was moved to its secret spot years ago and remains a gem, hidden in plain sight. The maintenance and upkeep of the gambrel style house has been meticulous and thorough. From finishing the basement (mostly) to rebuilding the entire front deck, the house has been updated and refreshed over the years. A solid piece of history with whimsy and charm, there is basement storage as well as a full attic. An architect's rendition of enhancing the updated kitchen is on site with ample space to enlarge on the East side of the house. Sweet Cottage By The Sea. Extremely private and quiet East Chop property located on a little known peninsula hugging Crystal Lake. 2 bedroom seasonal cottage fronting on Crystal Lake with views to the sound beyond. Lovingly maintained and owned by the same family for many generations, the existing structure is traditional and functional. A fireplace in the main room allows for off season use, views from every window. From sunrise to sunset pond and ocean beyond keep company with the ducks, swans and wildlife of the environment, inviting outdoor picnics, kayaking and many other simple pleasures. An approved 3 bedroom septic design has an existing permit, and plans available for a 2 story 3 bedroom house designed by William Sullivan, architect. The L shaped lot has a shed, built-in Bar-b-q (vintage!) and a good size side yard. House is being sold as is. When entering this open concept home you are welcomed with an abundance of light and space. Easy universal level living in a contemporary home with ample storage space and cathedral ceilings inviting the outdoors inside. A wonderful year round 3 bedroom 2 full bath home in a well established neighborhood centrally located between the 3 major down Island towns. 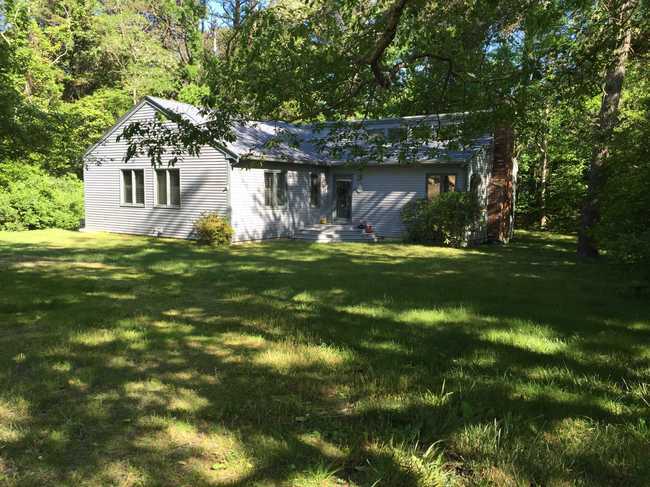 The house is a neutral backdrop waiting for your personal touches and could easily be transformed into a terrific summer rental getaway, just a few minutes drive to downtown Edgartown and the beaches of Katama. There is an over sized lot for your gardening pleasure and mature trees assure privacy when enjoying the quiet of lounging on the back deck. A full size basement could easily be finished for additional living space. Steps to bus and bike path. Perfectly Private Oasis. 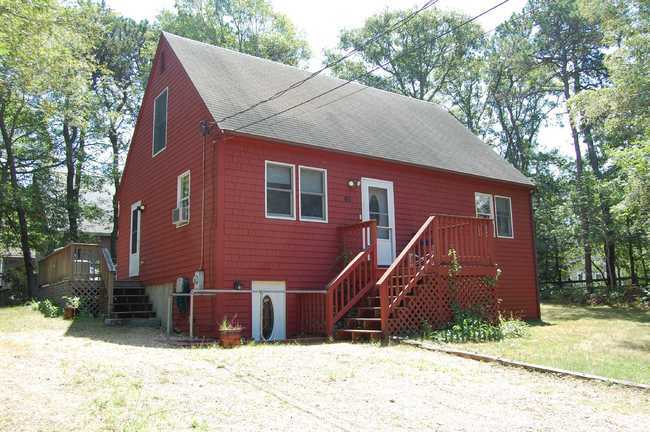 3 Bedroom 2 bath year round home with a full basement, sunroom and cathedral ceilings. 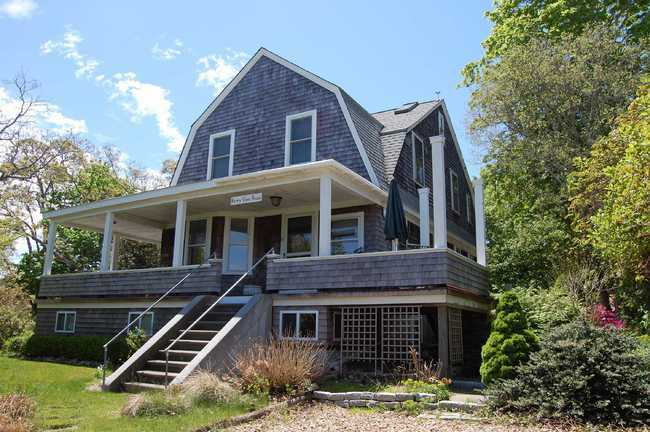 Situated on a dead end street near Oak Bluffs center this perfect starter home is sprinkled with custom features and unique finishes. Open concept with cathedral ceilings in the main room, there is a downstairs bedroom and bath, as well as a heated sunroom that invites outdoor living inside. Not to be missed is the extensive land and hard scape, with spacious patio, pond and outdoor hot tub. This home has been lovingly updated and maintained by its original owner, with consideration given to thoughtful details and whimsy. The Red House. 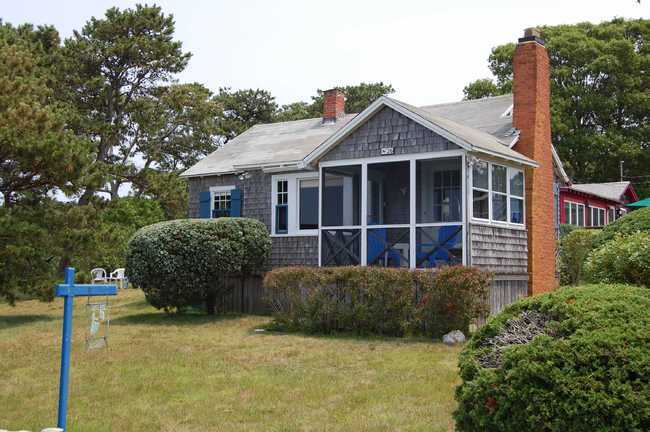 4 Bedroom family home in central Oak Bluffs. Walking distance to downtown OB, this is a terrific family neighborhood on the outskirts of the action yet close to it all. Property is in move-in condition, 2 downstairs bedrooms and a full bath, upstairs are 2 additional larger bedrooms and another full bath. A solid well priced investment property, there is the possibility of adding a guesthouse in 5 years. Large private yard and plenty of room to add on when the time is right. Newly Subdivided building lot. 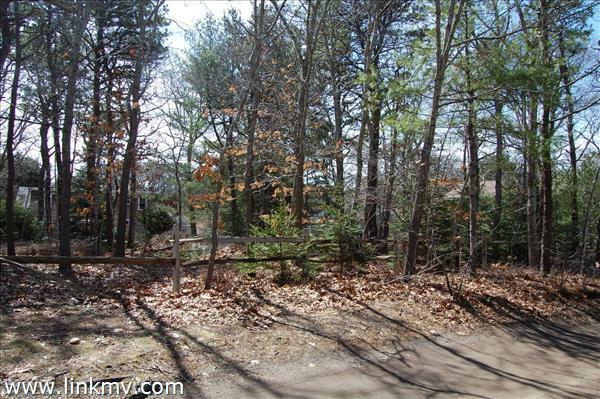 Close to downtown Oak Bluffs, quiet residential neighborhood. Broker is owner.